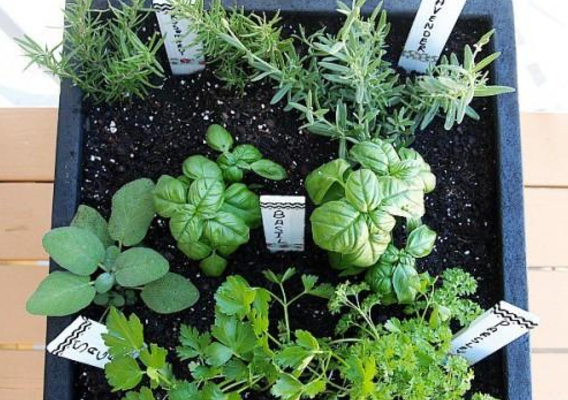 Long Beach provides optimal weather for growing some amazing herbs and veggies year-round. This means that with a bit of space, a few supplies, and some creativity, you can propagate and grow your very own herb garden right at home. No more last minute trips to the store or market just to buy the bunch of basil that the recipe requires. Now before you count yourself out because you think you don’t have the space, I’m here to tell you that you do. If you have a windowsill at home that gets a descent amount of sunlight, (3-4 hours) you can propagate multiple herbs in that window. 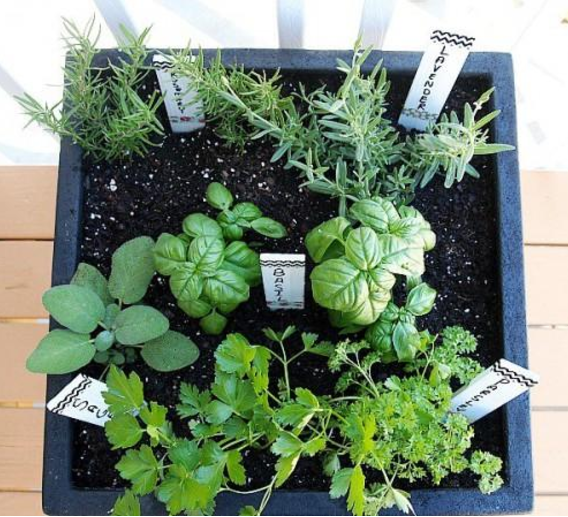 If you have space outside your front door that gets sunlight, you can plant multiple herbs in a single pot. So, in theory, we all have space for some green in our lives. (Notice in the above picture that mint is not planted in the pot with the other herbs. Mint is an amazing and versatile plant that has absolutely no regard for personal space. It will grow more aggressively than any other herb in your garden and take up rooting space for other plants. I recommend keeping mint in a container by itself). There are some herbs that can be propagated from cuttings and rooted in water before transplanting them to soil, such as basil and mint. 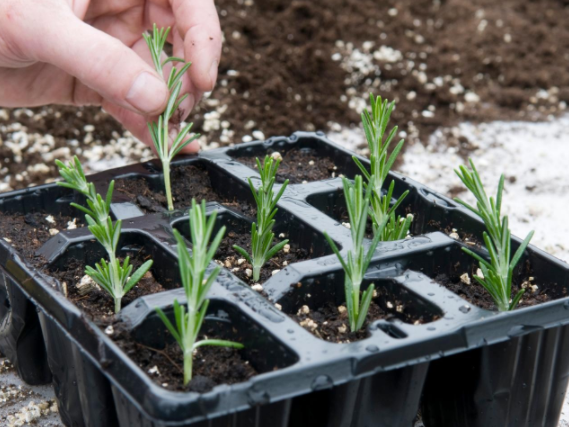 Others can be cut and placed directly into a mix of moist soil and sand to be rooted, such as lavender, oregano, lemon grass, lemon balm, sage, basil, cilantro, parsley, thyme, and rosemary. These wonderfully fragrant herbs can be purchased once and grown for the foreseeable future with some care and the few tips I will cover next. Let’s say you want to grow basil. You can purchase the basil from your local farmers’ market like you normally would for a recipe and immediately take a few clippings to be rooted in water. You will want to pick a strong stem from the bunch, clip any extra leaves from the base and place in water near a sunny window. I use small glass jars I acquire from juice bars, or thrift stores. In a week or so you will start to see roots forming from the part of the stem that is underwater. Wait for the cutting to establish a strong new root system, plant in moist soil, and place in a sunny window or preferably outside near your home or apartment. You’d be amazed what you can grow just on the stairs of your building. 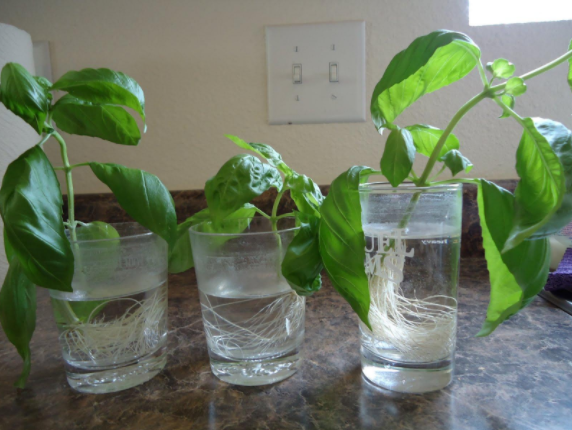 Within a few weeks, you will have a healthy basil plant growing new leaves for your next recipe. Other herbs that don’t propagate in water can be clipped, trimmed, placed in a soil/sand-potted mix and set in a small container to form roots. If placed in a sunny spot, and watered properly, these clipping will root. Once rooted, you can carefully transplant them into bigger pots for their final placement. I recommend covering your potted cuttings with either a plastic Ziploc or water bottle cut in half to provide something of a green house effect. This will encourage the moist environment needed for fast and effective rooting. It’s never too late to try your green thumb at developing a sustainable garden that fits your lifestyle. It is incredible to watch a small cutting you got from a friend’s garden grow into a healthy plant that will supply a years worth of fresh herbs. Your wallet and the environment will thank you. Now get out there and make your world greener! Sheno Khal is a Long Beach resident dedicated to community and social activism through volunteer work, education and performance. 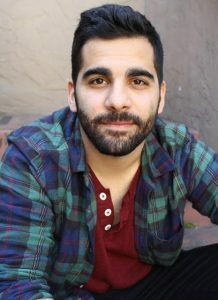 He works for social justice organizations as an actor/educator helping the U.S military and college communities combat sexual assault, and recently began working with Long Beach Fresh as an ambassador striving for a more sustainable, locally sourced food system. His interest in gardening extends to helping businesses maintain their plants providing a greener atmosphere for both staff and customer.